Pencils and crayons are classroom staples—they get the job done! But it’s also important to continue to give older elementary students a variety of hands-on tools to appeal to all learning styles. Try our Blackboard with Double Lines to position your students for success with letter formation. A makerspace is any physical area in a classroom that is designated for “making.” The space could be a table, a countertop, a cart, or something you’ve built yourself. Keep your makerspace well-stocked with odds and ends that can be assembled in a creative way. Cardboard, glue, ribbon, pipe cleaners become building blocks for innovation. Our Little Sponge Cubes and FLIP Crayons are versatile tools for making imaginative projects. Having a variety of materials at the child’s fingertips makes creating mini-masterpieces easy. Whether the finished result is a sculpture or a functional robot, makerspaces are a fun and effective way to promote hands-on, multisensory learning in your classroom. Bring your classroom to life! Having a classroom mascot—or a familiar character—keeps children engaged and motivated to learn. Magic C Bunny is an engaging puppet that helps you teach the C stroke for capital and lowercase letters and can also be used as a versatile, interactive classroom tool. 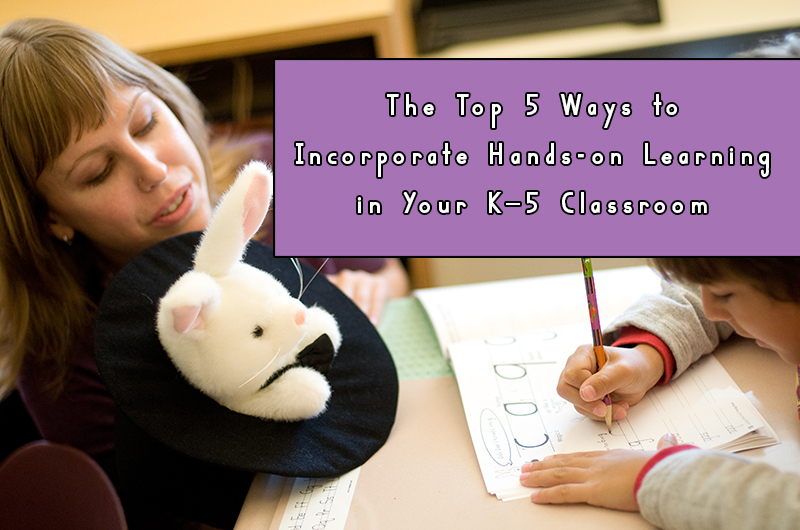 As children graduate from pre-K and move on to elementary school, having a few go-to, hands-on activities will ensure that children of all grades have multisensory learning options in their classroom. For letter formation instruction, get children to roll up their sleeves and practice Wet-Dry-Try with our Little Sponge Cubes. Digital learning doesn’t need to end at the computer. Taking tech instruction off-screen can be a valuable strategy for children who are struggling to build typing fluency. Build a Keyboard offers a tactile way for children to experience the layout of a keyboard before actually learning to type. Children actively memorizing the location of the keys on the rows as they put together the puzzle-like pieces.